BED 6 · BATH 8 · SLEEPS 12 · FROM $9,950 TO $14.950 USD PER NIGHT + TAX. 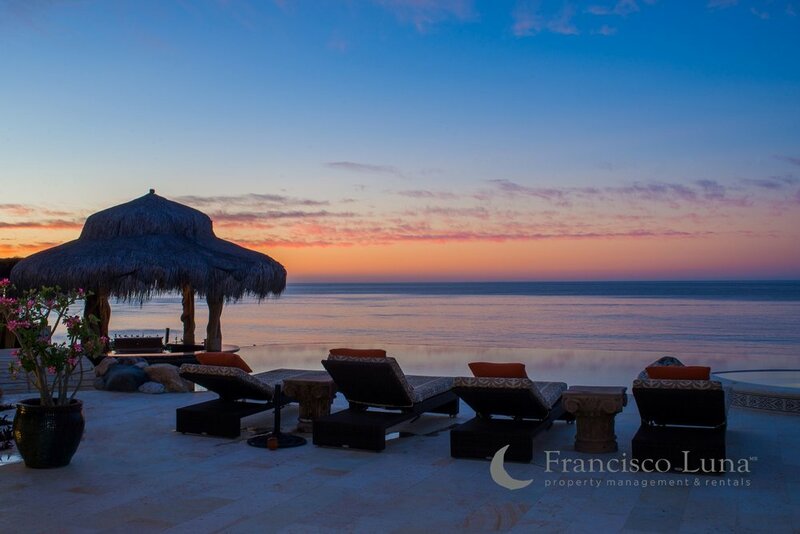 Experience the ultimate in luxury living at Casa Milagros. 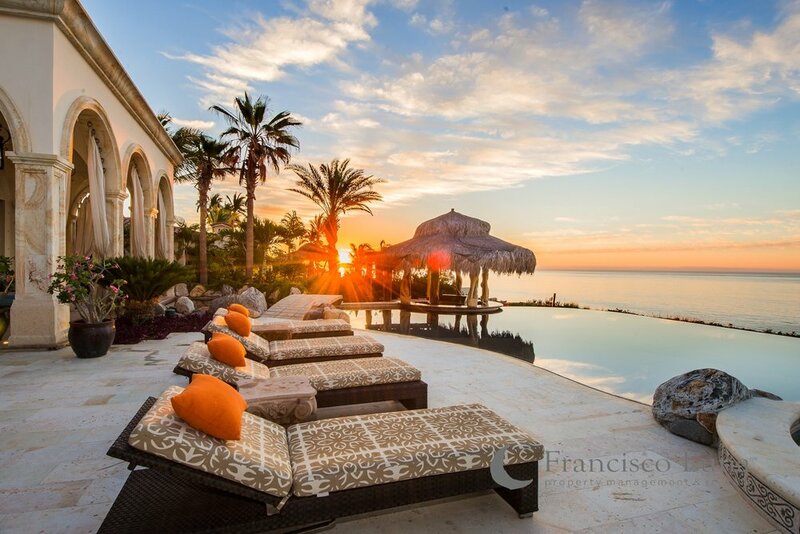 This oceanfront is one of the utmost pristine villa in Los Cabos. Hovering above the immaculate white sand beach, and views of the Sea of Cortez you are sure to have a most memorable sun-filled getaway. 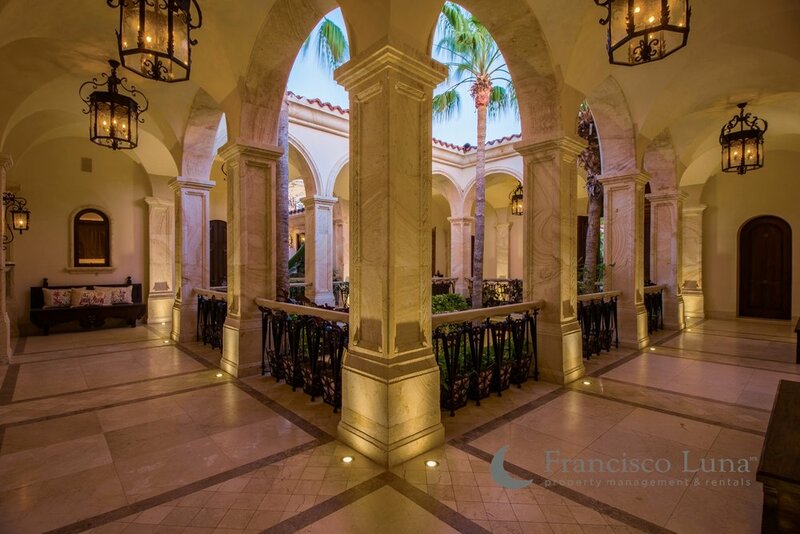 Styled after the grand haciendas of the colonial era with palatial decor, this stunning villa features 6 magnificent and dreamy bedrooms all with a garden or ocean view; all with en-suite bathroom, air conditioning and a television. Each suite provides its own set of perks. The sheer size of the contoured infinity swimming pool with swim-up bar and inset lounging areas is simply astounding. Little could be as soothing as a well deserved soak in the outdoor experience gather around the dining area for some fresh appetizers and drinks. Upon request, have your private chef prepare culinary delights to your liking. 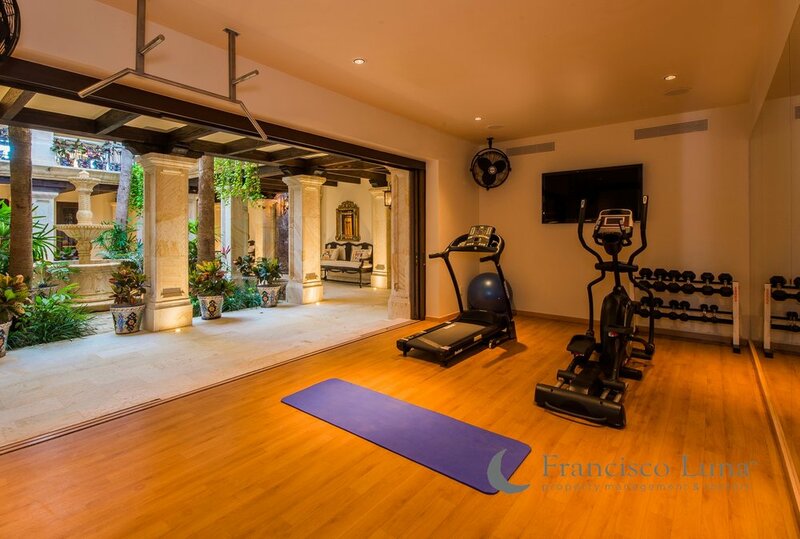 The interiors of Casa Milagros are elegant and capacious, with an open floor plan, all rooms are intertwined. The kitchen features premium stainless steel appliances, marble countertops, a 4-seat breakfast bar, prep sink and pantry. Rustic wood-beamed ceilings complement the expanse of rich cabinetry, with the engraved stone range hood and wrought iron chandelier adding historic charm. Enjoy some drinks by the bar, or get cozy by the beautiful fireplace. Intriguing artwork are placed throughout the property and add a sense of whimsicality to the pristine ambience. "End your sun-filled day by the fire pit, gaze into a gorgeous sunset, and look forward to doing it all again the next day".